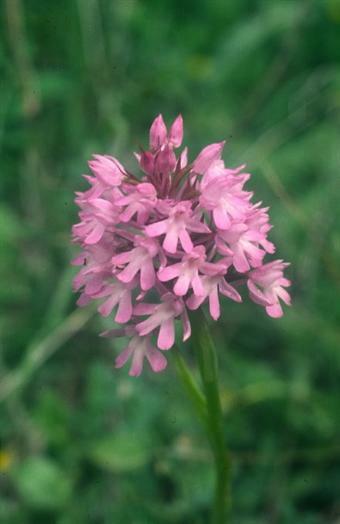 Grassland orchids are often lost through mowing road verges, but can also be restored from local sources. The IUCN Guidelines for Reintroductions and other Conservation Translocations summarise the best available knowledge for any TRANSLOCATION, which is defined as THE HUMAN-MEDIATED MOVEMENT OF ORGANISMS FROM ONE AREA, WITH RELEASE IN ANOTHER. However, because the guidelines are so detailed, something simpler may be useful for short translocations by communities wishing to restore plants, fungi and animals within their INDIGENOUS RANGE. That indigenous range is THE KNOWN OR INFERRED DISTRIBUTION GENERATED FROM HISTORICAL (WRITTEN OR VERBAL) RECORDS, OR PHYSICAL EVIDENCE OF THE SPECIES’ OCCURRENCE. If you can answer all the following questions 'YES', then it should be safe to go ahead (but keep checking this site for further advice). Otherwise you should consult the relevant sections in the IUCN Guidelines (above), together with the Annexes mentioned in them, and also seek professional help. Numbered sections in the following simple decision-tree refer to paragraphs in the IUCN Guidelines available at the top of this page. Is the release within the indigenous range of the species? If NO, or DON’T KNOW: See sections 3.3-3.5 on acceptability, 5.3 on regulations, 6.5-6.6 on risk assessment and 7.1 on choosing the release site. If YES: Can stock be obtained sustainably in your country from existing wild populations in which the species is abundant? If NO, or DON’T KNOW: See sections 1 and 6 on risk (of disease, gene escape, impact on source populations) and 5.1.4 on selecting founders. If YES: Are reasons for absence of the species from your site understood and rectified? If NO, or DON’T KNOW: See section 3.2, and 5.1 on biological feasibility (especially on habitat, climate, disease and predators). If YES: Do all local interests who might be affected agree to support the initiative? If NO, or DON’T KNOW: See sections 3.6 and 5.2 on social acceptability, 6.2 on ecological consequences and 6.6 on socio-economic risks. If YES: Is the site large enough to be likely to sustain a population which will be checked for 10 years? If NO, or DON’T KNOW: See sections 4.2 on monitoring, 7 on choosing the release site and 8 on assessing the outcome. If YES: Provided you have any necessary regulatory permissions, proceed with caution and keep checking this site for further guidance.